(Seychelles News Agency) - The Seychelles national football team is gearing up for a World Cup qualifier against Burundi next month following an impressive 1-1 draw against Ethiopia in the qualifying match for the African Cup of Nations (AFCON) 2017 on Saturday 5 September. 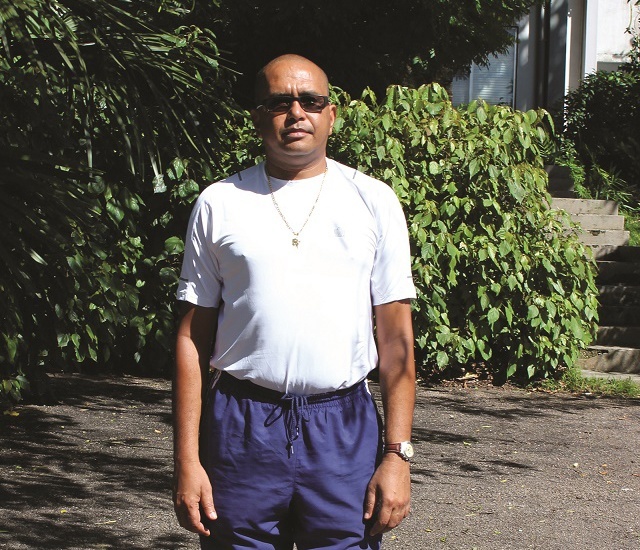 The team is preparing for their next big encounter with a new coach at the helm, Ralph Jean-Louis, a 47-year old football veteran from Au Cap, an eastern district on the main island of Mahe. 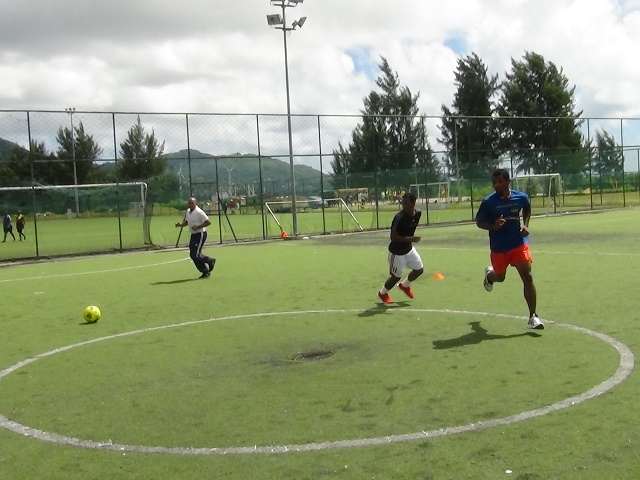 He signed his new contract on Wednesday with the Seychelles Football Federation (SFF). Jean-Louis used to play for Bel Air, Anse-aux-Pins and St. Michel United in Seychelles and has experience of eleven years playing for the Seychelles national football team. When he retired in 2000, he became the trainer for the football school of excellence. He then joined the youth national team as assistant coach, while also managing St. Michel United and later took the post as the national team coach. 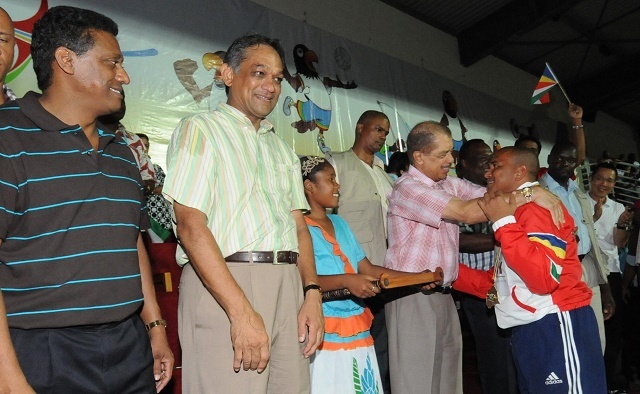 He resigned as national team coach following the Indian Ocean Island Games in 2011, where he led the Seychelles team to a gold champions victory over Mauritius. SNA met Ralph Jean-Louis to find out his expectations and aspirations this time after Seychelles performance against Ethiopia. SNA: Why did you decide to take the leadership of the island team a second time after 2011? RJL: Coaching has always been my passion. I love doing it and today it is still one of my biggest interests. Even my daughter reminds me every morning if I have not forgotten my training shoes. So the interest is not only for me but for my whole family. I took it up this time as a challenge for me to see if I can do better than last time plus I was encouraged by many football enthusiasts. I also wanted to gain the experience at African level. SNA: You are still coaching St Michel United [eastern Mahe-based football team] how are you going to manage both teams at the same time? RJL: For the time being I am still with St. Michel and there are another two months for the league season. At this time it is difficult for me to leave St. Michel. 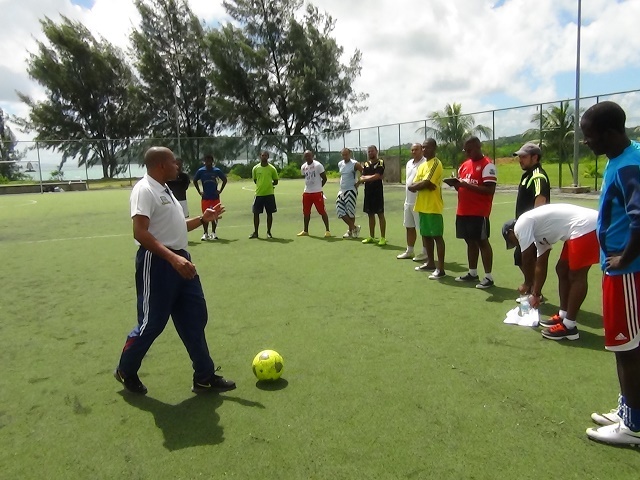 The remaining two months will be a transition period for the team to readjust, so by December I can then decide if I will be working permanently with the Seychelles Football Federation (SFF) which will mean I will have to leave St. Michel. SNA: In the last match against Ethiopia, the Seychelles team gave a spectacular performance, will there be any changes when you take charge after this? 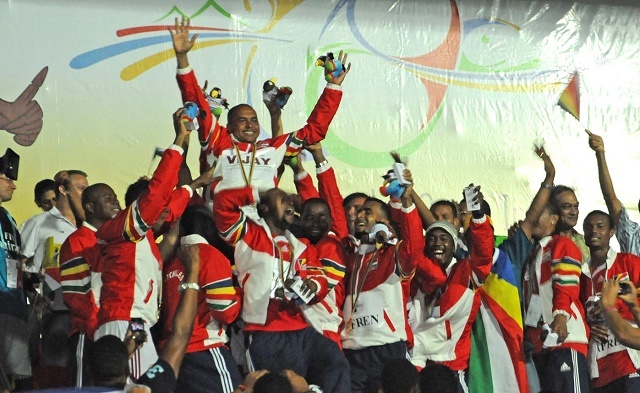 RJL: In terms of group, 90 percent of the team that played against Ethiopia will be retained. This means there will not be much change. For me it is important to establish a good relationship with my players and ensure that when they go on the field they can assume their responsibilities. This is why this period is very important. It is both an advantage and disadvantage at the same time. The disadvantage is that we cannot train as I would have wished but the advantage is that all players are very much active with their respective teams. Some teams are playing three times in eight days, giving the players a high fitness level. The only work is to have them work in cohesion as a team, so we can have the result we are looking for. SNA: You watched the match between Seychelles and Ethiopia. What did you think of it? RJL: Well, it was a really good match for a team who got together for only a week. It was at the same time a motivation as the players had to go back in action after a disappointing performance in the Indian Ocean Islands Games in Reunion. So for me Bruno Sandini [the caretaker coach] did a good job in regrouping the players. He put some additional ones especially in mid-field where there was no stability before. I think this stabilized the mid-field and gave the team a better balance which gave us a good result. SNA: When you watched the players in that match, what would you say are their strong points and weaknesses? RJL: The weakness is that the players do not have much time together. You see at times the lack of good tactical understanding but what I appreciated were the players Bruno selected brought in some balance in the team. There was great leadership on the field from the more experienced players. The young ones who were called wanted to prove themselves, yes, but at the same time there was unity between them; there were no arguments only joy and determination on their faces. This is what we want to have and maintain. SNA: Seychelles has an important world cup qualification match coming up next month with Burundi. When will the preparation start? RJL: In principle I wanted to start this week but it has not been possible and I was finalizing my contract with the SFF. Next week, the players will be busy with their own clubs so the earliest we will meet will be the last week of September which will be only about a week before the match against Burundi. SNA: Do you think our team is ready for the match? RJL: In terms of physical conditions yes they are ready but in terms of getting a good cohesion amongst them we will only have 7 days to work on that. SNA: With the experiences you have what do you think you will bring to the team? RJL: I have a way of coaching focused on winning a match and this is what I instill in my players. When we lose we lose and as a follow up we pick out the good things we did in the match. I motivate my players in this way which is what I believe is different compared to other coaches. SNA: Having a high level coach and players is good but there also needs to be support. Are you satisfied with the support you are receiving? RJL: During my interview for the post I did put forward my expectations since I was not entirely satisfied with the level of support I received the last time when I was coaching the team. This time I would like a motivated support group including a focal person that I can rely on since I will be busy with preparation for the qualification. Seychelles will face Burundi in the first leg of the 2018 FIFA World Cup Preliminary match on home ground on 7th October 2015 and the return leg on 11 October 2015.